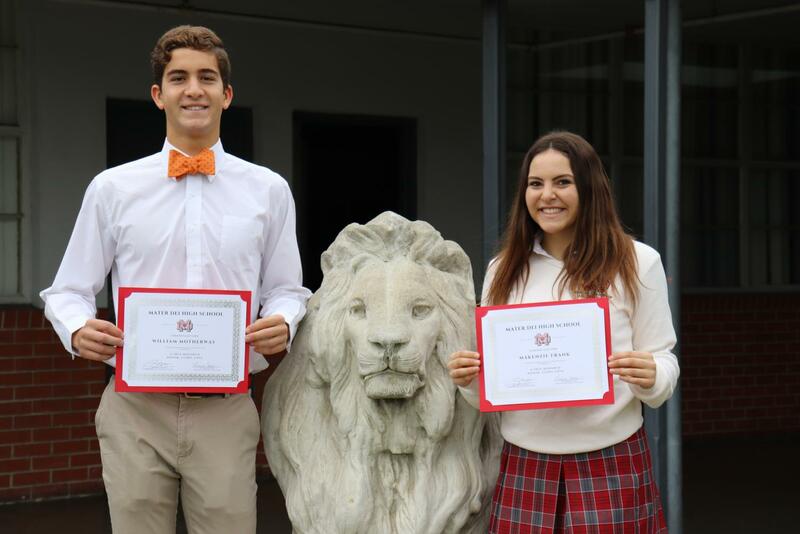 In recognition of their Monarch character, seniors Mackenzie Frank and William Motherway were selected as the Monarchs of the Month for November the 2017-18 school year on Dec.1. 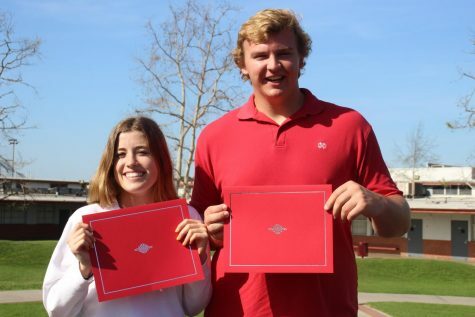 Every month, one senior boy and girl are nominated by faculty and staff for their academic and personal successes. 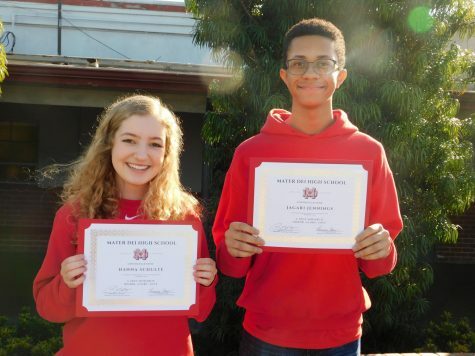 HARD WORK PAYS OFF: Water polo Captain William “Billy” Motherway was chosen for the November Monarch of the Month. 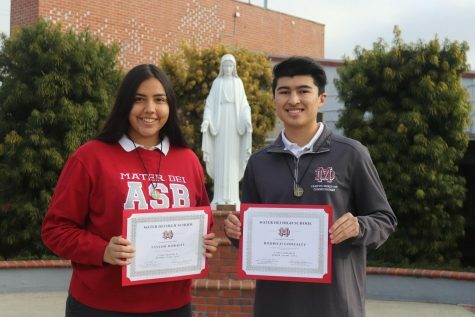 His favorite aspect of Mater Dei is the sense of community. “It feels like a tiny community, [where] everyone knows each other,” Motherway said. ““I just want to show [my] responsibility with being a leader here,” Motherway said. “I mean there is a lot of tradition here and to be a leader here [is] to have to uphold that tradition and you have to be responsible,” Motherway said. 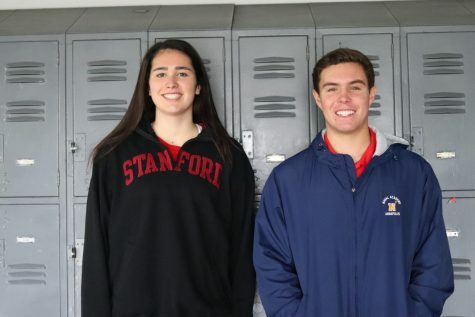 As he led his water polo team this year, he hoped to guide them to a CIF championship title, which he was his sophomore year. “[I] put a lot of work into that and it’s kinda paying off right now,” said Motherway, who is also the team’s goaltender. Outside of water polo, Motherway is involved in other clubs and activities outside of school including academic clubs like CSF and NHS. Motherway is also part of an organization called, Santa Ana Assistance League, which is a small local thrift shop that donates items such as apparel or furniture to local charities. Motherway plans to continue his water polo career at Princeton University, to which he verbally committed in August. As ASB treasurer and captain of the varsity song team, senior Mackenzie Frank finds her way to leave a mark at the school through leadership and by being an active member of the school community. LEADING FUTURE MONARCHS: Senior Mackenzie Frank lives each day at MD to the fullest. 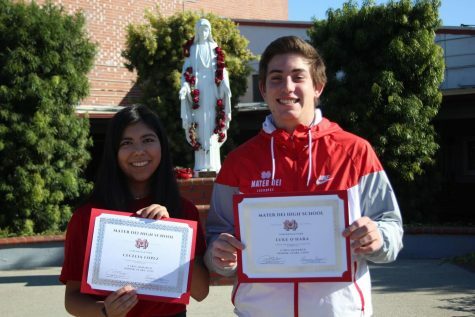 “My ultimate goal for Mater Dei is to really take each day and appreciate it,” Frank said. Frank sees that the qualities of a good leader are those that set a good example to the students and help the school community. 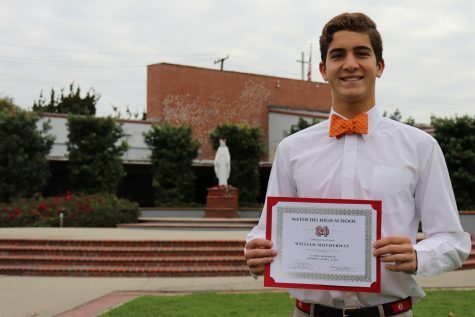 “Being a leader at the school to me means to try to set a good example to the students, to have a positive attitude and to serve the school with honor, glory, and love,” Frank said. 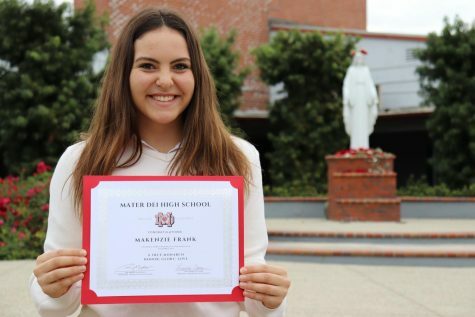 She hopes that when she attends college next year, her school will resemble Mater Dei’s spirit and community. She currently takes classes such as psychology that will help her for her major in communications. 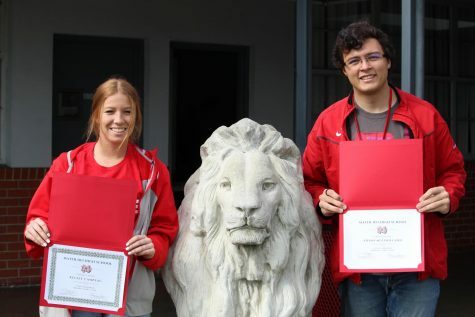 “I’m looking at a college that has a strong tradition and culture like Mater Dei has,” Frank said. 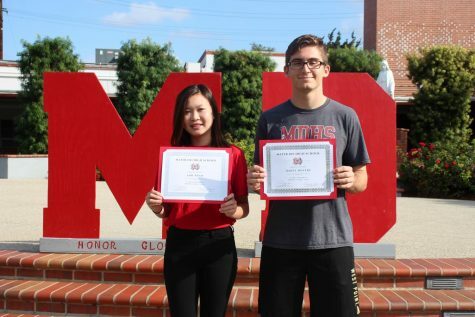 “I’m looking for colleges that are big and have a lot of people where I can thrive in a social environment and a family environment that I can love in a way similar to here at Mater Dei.” said Frank. While she is very active in the school community, Frank is also active in her own community. She volunteers at National Charity League and Magical Builders, a nonprofit organization that her mom started. To Frank, Monarch character plays an important role in her school experience. Her drive to help the community at school and at home inspires her to work hard to achieve her goals. 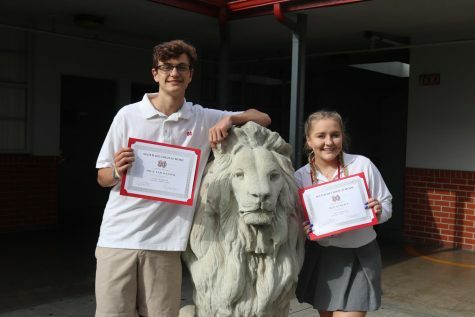 “Monarch character means to me to have pride in the school and to be a respectful student, friend and classmate to everyone,” Frank said. What is your Lenten promise?